The role will also involve the review of balance sheet reconciliations, liaison with internal & external auditors and in addition you will ensure tax compliance; assist with budget & forecast process & analysis of labour efficiency. As a people business we need a seasoned Human Resources generalist with 3 to 5 years of experience to support our HR functions including, industrial relations, recruitment, training & development, performance & employee engagement. An HR qualification will be an advantage but knowledge & understanding of employment law & best practice is essential. 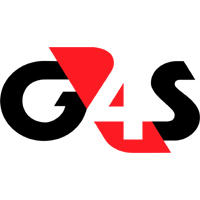 G4S is committed to providing customers & employees with a safe working environment & to ensuring zero harm. We are looking to expand our HSE capabilities by investing in a qualified & experienced front line HSE specialist with a proven track record of driving safety across a high risk business. An HSE qualification, computer literacy, strong written, verbal & presentation skills with at least 3 years of experience as a Health & Safety Officer are essential & a degree in a Health & Safety related discipline would be desirable. You will be responsible for ensuring that all G4S activities across the country are carried out in accordance with health & safety legislation & company standards & will lead our drive to attain OHSAS 18001 certification. With safety officers & representatives embedded in our mining, oil & gas, infrastructure & commercial operations, you will lead site risk assessments, incident investigations & safety audits, write procedures & carry out training on location to ensure continual improvement. With thousands of front line employees working across the country, effective instruction in safety & security skills is essential. We are investing in enhancing our training capability by engaging a senior instructor to deliver front line skills instruction, manage training programmes at our branches & at customer locations. To succeed in the role you are probably a retired Warrant Officer instructor or a former Police Service Instructor. Alternatively we will consider individuals with experience in commercial security training. Mining Security experience will be an added advantage.